Career Services Center provides the following services and resources to JSU students and alumni to help choose a major, develop a personal career plan, learn job search skills and find employment. To discover more, click one of the categories below. Search for temporary and full-time employment to enhance your educational experience. Searching for jobs and internships can sometimes be a daunting task. However, the Career Services Center has resources specifically designed to make this a seamless process. 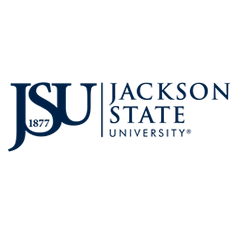 Tigers2Work allows JSU students and alumni to electronically submit resumes to employers, to search for co-ops, internships, part-time and full-time jobs, and research employer information. Click here for the directions to register for a Tigers2Work account. Contact the Career Services Center @ 601-979-2477 for the registration password to register for a new account. After you register, you will be emailed a new password to use when logging into your Tigers2Work account. Activities include, posting your resume for review by the employer, signing up for interviews, scheduled information sessions, and company background information. Employers registered with Tigers2Work post job opportunities for student review. Interested students will follow the application process set by the employer. Log-in to your Tigers2Work account to review a list of all job postings. Numerous benefits and opportunities are available to you when you attend a career fair, regardless of your chosen major or your future goals. However, simply attending a career fair is not enough; you need to make your participation count. If you understand what to expect at a career fair and take the proper steps to prepare beforehand, you will receive the maximum benefit from the event and increase your chances of obtaining interviews. The Career Services Center host many special events throughout the year that assist students with finding employment. Click here to review all of the special events. An internship is a carefully monitored work or service experience in which an individual has intentional learning goals and reflects actively on what he or she is learning throughout the experience. It may be paid or unpaid. Internships may be scheduled during an academic semester or across the summer and it may be set in a business, nonprofit, government, or educational institution. Check with the staff in the Career Services Center for more information about internships. Also, access the Career Guide to find more information on Internships. Different organizations may call internships Service Learning/Volunteering, Apprenticeships, Externships/Mentoring/Shadowing and Work Study. Some internships may offer academic credit. Check with your academic advisor to see if your department offers credit and to see if an internship requires a faculty sponsor or approval. Go to Tigers2Work or check with our office to see what companies are currently seeking interns. Additionally, go to Web Resources to check out other sites that have information regarding internships.